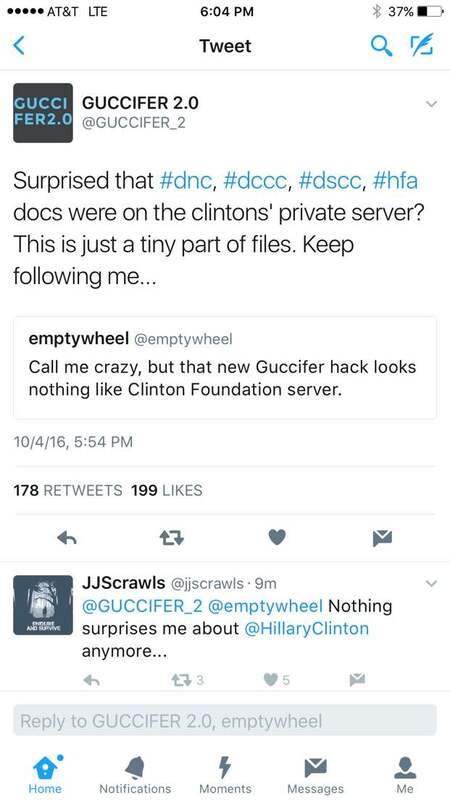 The hacker known as Guccifer 2.0 claims to have hacked the Clinton Foundation computer servers and has released it all online. In what is an initial discovery, if the data is true, is that there was an elaborate kickback scheme between Democrats and corporations who received taxpayer funded bailout funds from TARP. Corporations donated a % of taxpayer money received through TARP back to Democrats and the Democratic party. Back in June Bloomberg reported that the Clinton Foundation most likely was hacked by Russians. Guccifer claimed that there are many more files to come when prompted by internet users why many of the files seem to be files of the Democratic Party of Virginia and national Democratic National Party files. 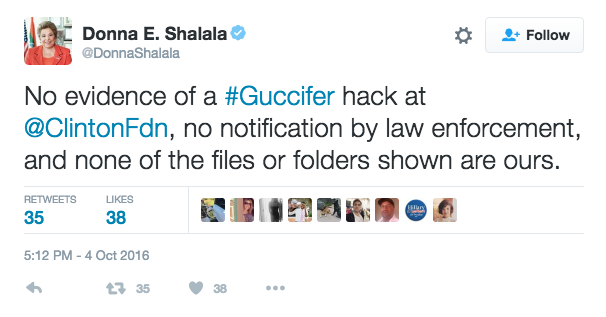 [UPDATE 6:05pm EST]: Guccifer is defending his hack now on Twitter after the Clinton Foundation said it wasn’t hacked. [UPDATE 4:45pm EST]: A source called Tom Hanks’ business manager’s phone number that was released in one of the files of the hack. The business manager confirmed it was his real phone number. The new head of the Clinton Foundation, former University of Miami President and Secretary of Health & Human Services in the Bill Clinton administration Donna Shalala tweeted saying there was no evidence of a hack. She is being trolled on the internet because people are confirming the data elsewhere. The documents include a list of personal donors as well as financial corporation donors. The list includes everyone from Goldman Sachs to film producer JJ Abrams. “It looks like big banks and corporations agreed to donate to the Democrats a certain percentage of the allocated TARP funds,” Guccifer 2.0 wrote with several big corporations listed giving donations to several Democratic candidates. Here is the picture of some of the folders including the “Pay to Play” folder. The hacker also praised Wikileaks co-founder Julian Assange.